Steve McQueen’s affinity for foreign sports cars and motorcycles is well documented, both on the silver screen and in his personal collection. But, like his contemporaries, Eastwood and Redford and Newman, the King of Cool’s style and swagger were unmistakably American. Hardly surprising, then, that McQueen had a taste for old-school Milwaukee metal. Now, the man’s vintage Big Twin is up for grabs. And this is the Big Twin to have, the original. 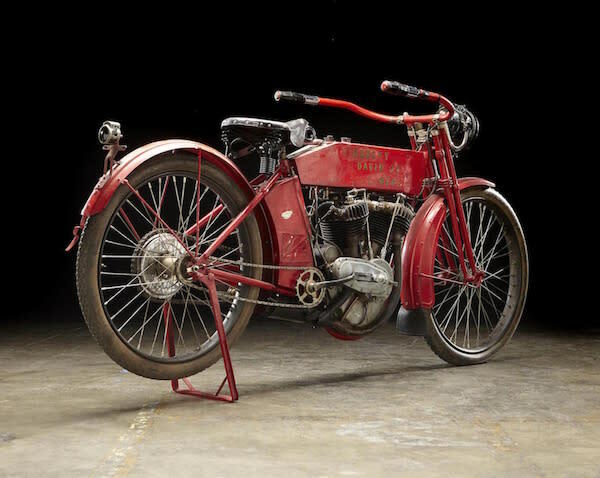 The 1912 X8E is a landmark, Harley-Davidson’s first legit chain-drive offering, with a 60ci engine, magneto ignition, skirted fenders and floating seat. In period, it was the range-topping model, rated for 8hp and priced at $310 (or $7,650 in today’s money), a $10 premium over the 6.5-hp standard twin. The bike seen here also has the 1912-only crankcase breather and, amazingly, retains its factory pistons with matching barrel stampings, No. 7691B. Keener eyes might notice other, not-so-factory touches, namely the updated wheels and headlamp. 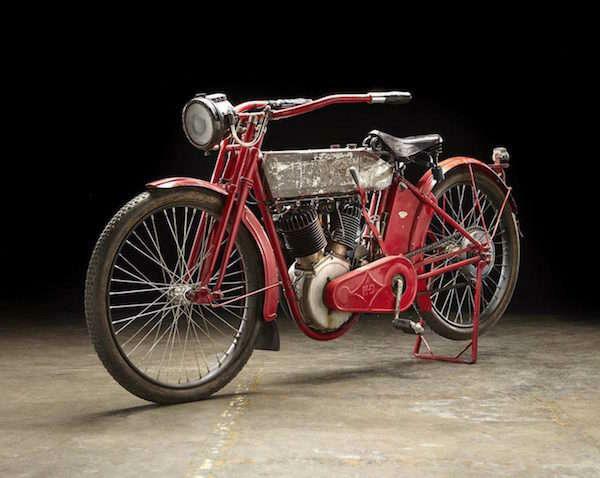 Both were added so McQueen could race the bike in Pre-1916 Class at a vintage rally, which he did. Because he was Steve McQueen. Then there’s the paint. It’s a ratty fire engine red job, gold stencil lettering and heavy patina, one of the tanks left unfinished. Faux pas? More like avant-garde. Rumor holds that McQueen had Von Dutch rattle-can the bike red during a late-night binge drinking session. If you’re at all versed in the history of American speed culture, that should plaster a big grin across your face. Best of all, this 1912 Harley-Davidson X8E runs and rides. Bring a pair of Persols and $120,000 to Bonhams Las Vegas auction January 26, and make all your McQueen fantasies a reality.